We are delighted to be exhibiting at the London Build Expo 2017, which takes place at London’s Olympia on 25th and 26th October this year. Please come and see us on Stand K19 where we will be showcasing samples of several of our steel windows and rooflights products and members of our sales team will be available to discuss your specific requirements with you. Chief Executive, Peter Clement, will also be speaking as part of the Interiors & Fit-Out Summit, on Steel Windows – A New Generation. 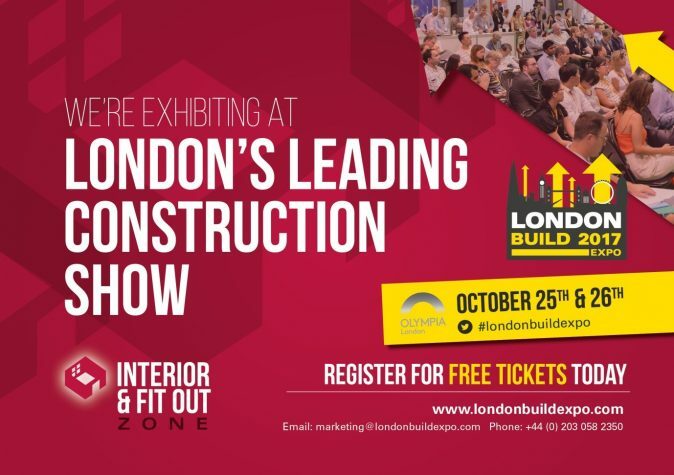 It is free to attend – just visit https://www.londonbuildexpo.com/ to register your interest.